DESCRIPTION Stunning WALKOUT bungalow with TRIPLE car garage privately situated backing onto Griffith Woods! An impressive 3050 ft. of developed living space, with 2 bdrms up. A large foyer leads to the sunny south-facing living room with a spectacular forest view and features a beautiful stone fireplace with cabinets. Gorgeous kitchen features S/S appliances incl gas stove, B/I wall plus convection oven, huge island w/breakfast bar and granite counters. Convenient workstation, and a generous dining area that leads to new wrap around NEW deck. Large walk-through pantry leads to mudroom. Main floor Master bdrm backs onto forest, features 6 pc ensuite including a steam shower. Lower walkout level comprised of family room with FP and Built-Ins, 4 pc bath, 2 add’tl bdrms-1/w WIC, large storage rm, and utility rm with W/D, fridge and sink. Finished triple car garage w/cabinets, R/I in-floor heating to master ensuite, basement floor and garage floor. A/C, central vac,water softener &filtration. Home for sale at 94 Discovery Ridge Bv Sw Calgary, Alberts T3H 4Y2. 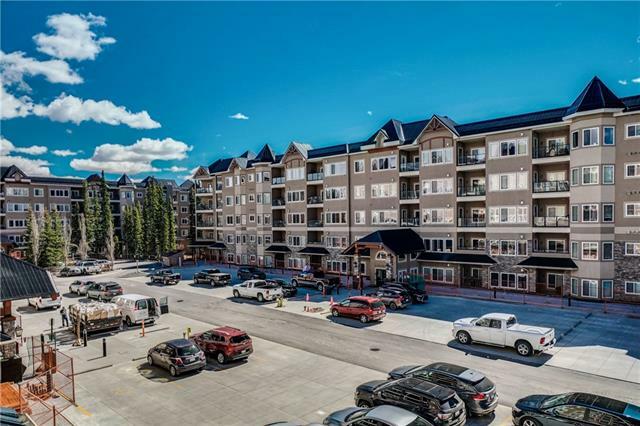 Description: The home at 94 Discovery Ridge Bv Sw Calgary, Alberta T3H 4Y2 with the MLS® Number C4232250 is currently listed at $928,000.